• Retards loss of tooth enamel. Key Ingredients: • Montmorillonite Mineral Clay – provides essential minerals such as calcium, iron, magnesium, potassium, manganese and silica. This ingredient absorbs cavity causing bacteria reducing tartar, plaque and gum recession. • Natural Silica – is essential in hardening tooth enamel and preventing bleeding gums and gum recession. • Calcium Ascorbate – provides non-acidic Vitamin C and calcium vital for bone and tooth strength, maintains collagen for healthy gum formation, aids in healing inflamed and bleeding gums, and acts as an antioxidant neutralising free radical damage to gums. • Xylitol – a natural sweetener that reduces plaque, retards loss of enamel, kills germs causing bad breath, increases the absorption of B-vitamins and calcium, and reduces symptoms of dry mouth. • Echinacea powder – boosts immune function, fights against plaque forming bacteria and exhibits anti-inflammatory, antibacterial, antiviral and healing properties. 1. Squeeze a small amount of toothpaste onto your toothbrush. 2. Dip into the RejuveDent powder liberally coating the surface of the paste. 3. Brush thoroughly twice daily. 4. Results may be enhanced by not thoroughly rinsing, but leaving the product residue in your mouth overnight. 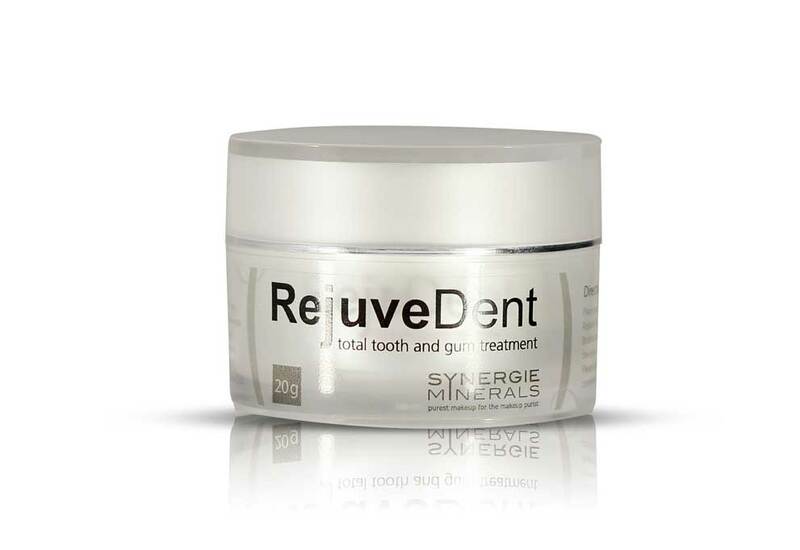 Please note RejuveDent is not a substitute for toothpaste. This is a complimentary treatment that works in synergy with your existing dental care regimen.